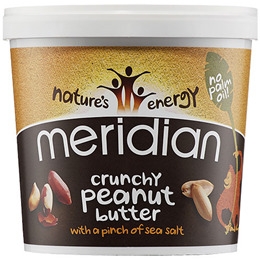 Meridian Crunchy Peanut Butter with a pinch of salt is rich in energy and packed full of protein. Peanuts are high in protein and perfect for maintaining a healthy diet. Meridian roast organic peanuts in their natural skins, then crush them for a perfect crunchy texture. Below are reviews of Meridian Crunchy Peanut Butter with Salt - 1kg by bodykind customers. If you have tried this product we'd love to hear what you think so please leave a review. 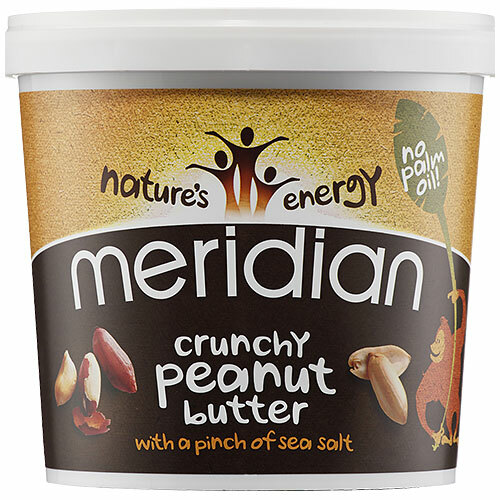 Meridian Crunchy Peanut Butter with a pinch of salt is rich in energy and packed full of protein. Peanuts are perfect for maintaining a healthy diet. Meridian roast organic peanuts in their natural skins, then crush them for a perfect crunchy texture.